New Delhi: Fuel prices on Monday registered a hike as petrol prices have increased by 38 paise while diesel rates have gone up 49-52 paise. In national capital Delhi, petrol costs Rs 70.13 per litre while yesterday it was retailing at Rs 69.75 a litre. This is the first time that fuel prices reached Rs 70-mark in the year 2019. Similarly, diesel price has increased to Rs 64.18 per litre, a hike of 49 paise. 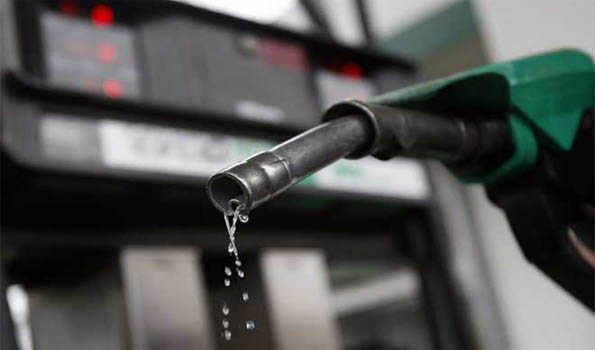 In Mumbai, petrol costs Rs 75.77 per litre and diesel at Rs 67 per litre. In Kolkata, petrol is being sold at Rs 72.40 per lire and diesel Rs 67.26/litre. In Chennai, a litre of petrol is at Rs 72.79 and diesel 67.78, in Bengaluru petrol and diesel is retailing at Rs 72.44 and 66.29 a litre.